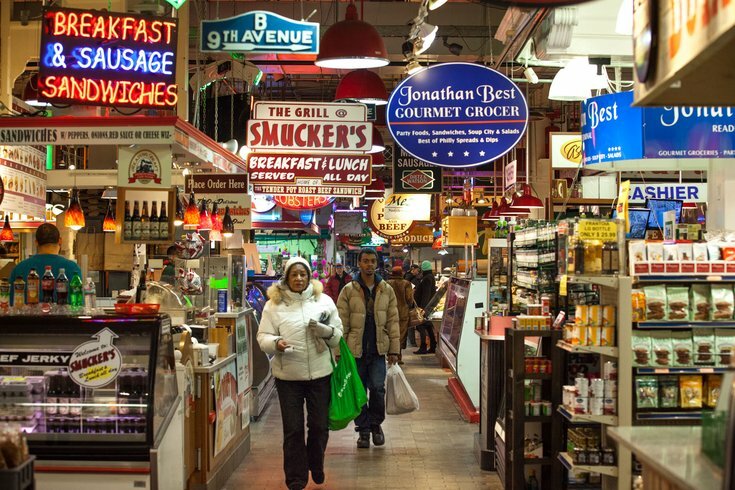 Home already to everything under the Philadelphia sun, Reading Terminal Market will soon be dedicating space for an expanded selection of made-in-Pennsylvania wine and spirits. The historic market recently put out a Request for Proposals (RFP) to find a combination of limited distilleries and limited wineries to sell their products in a section of side-by-side kiosks. "Last year around this time, we started putting local distilleries on day carts pursuant to a relatively new permit the PLCB created for farmer's markets," said Reading Terminal Market General Manager Anuj Gupta. "And that's what we are, so now Pennsylvania producers can sell bottles at authorized locations, as long as they're in compliance with Act 39." For a long while, Reading Terminal Market's only bottle vendors had been the bar and restaurant Molly Malloy's, which has a wine-to-go permit from the PLCB, and Blue Mountain Winery. Lansdale's Boardroom Spirit Distilleries and the Lehigh Valley's Eight Oaks Craft Distillers began selling bottles from day carts last year, inspiring Gupta to invite new offerings both locally and from across the state. "We're looking for creative product lines," Gupta said. "Boardroom is a great example. They have citrus and produce-infused vodkas. We want to have quality and creativity." For distillers and wineries, it's a pretty sweet offer the market has on the table. Physical infrastructure for a total of seven vendors will be provided to the selected businesses, each of which will have about 50 square feet to work with, as detailed in the RFP. "It will allow people to be here seven days a week," Gupta said. "It's really to bring in what's a fast-growing industry in the state and locally here at the market. We've had a positive response from customers with the day carts." Two of the spaces will be set aside for hyperlocal vendors in Philadelphia and another two will be rotated on a more frequent basis. Gupta said the model will harken back to the early days of Reading Terminal Market and also signal the next phase of its evolution. "If you look up at the historic wooden facade, which is still visible to this day, you'll see painted numbers. Each number represented a merchant's stall. There were more than a thousand in the 1930s. We want to create more of that so that we have more agility [for seasonal changes]. It's hard to do that with the current configuration." In the future, Gupta said, customers can expect to see more short-term leases and flexibility with merchants, not just among the new bottle merchants but in certain areas of the market as a whole. As for the market's influx of wine and liquor vendors, Gupta said he'd like to receive enough solid submissions by the Nov. 10 deadline to start making decisions over the course of the subsequent month. "It's an experiment," Gupta said. "I'm hopeful that there is interest. It''s a unique opportunity for distilleries to be highlighted at the market. If all goes well, I'd like to be open in time for the flower show next March."